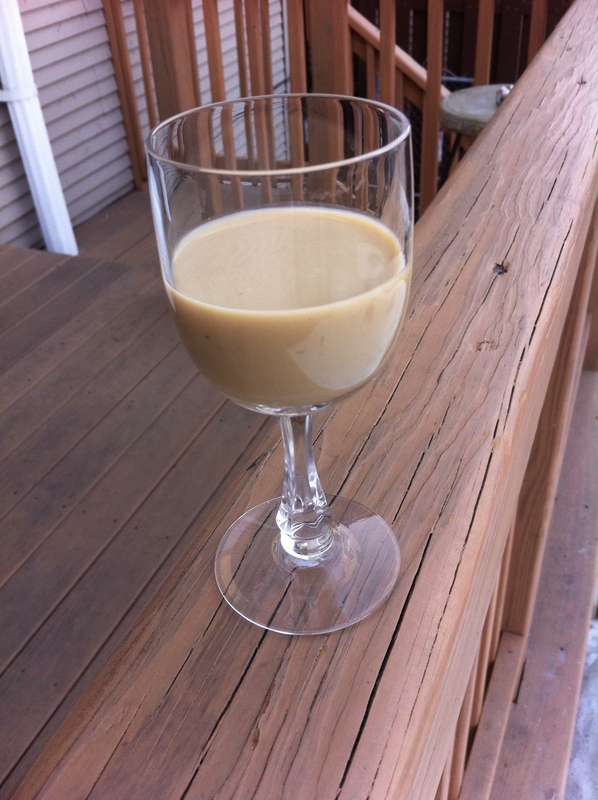 Several years ago I decided to try my hand at making an Irish Cream in my kitchen. A little research showed, to my surprise, that Irish Cream is really something invented purely for marketing in the 70’s…the 1970’s. So there were no 18th century classic Irish recipes to be found…or that I could find. There are, however a plethora of modern day home recipes that are available online. Marketing invention or not, Irish Cream appears like a genuinely good idea and also seems like something that would be a prime candidate for the value added by making it yourself at home. I generally search through books and the web for as many recipes as I can when learning something new. I filter out the ones that I feel are nonsensical and then compile a list of common denominators of them all. I then use my best judgment to come up with a prototype recipe to go to kitchen with. Most of the recipes I found for Irish Cream seemed to amount to glorified chocolate milk and didn’t make me think value added. Most recipes rarely used egg as an emulsifier, more often relying on things like evaporated or sweetened condensed milk to gather viscosity. Most rarely used heat. The most common base flavors incorporated into the home recipes that I found included chocolate, vanilla, coffee, almond and cinnamon. Many of the recipes relied heavily on either coffee or chocolate or both as the dominant flavor and many also used things like cinnamon and almond which I like, but don’t feel are present in Irish Cream. Most recipes seemed to lack subtlety in the base flavors, thus creating more of a chocolate cream or coffee cream. The history of Irish Cream and Bailey’s is very sketchy and little doubt glossed over or kept in the closet, so to speak, by its marketers. A long storied history is what is implied by the name and the marketing. Nonetheless, it is a delicious and simple idea. Bailey’s Irish Cream was brought to market in 1974 by Gilbey’s of Ireland. There was no R. A. Bailey behind the name. Wikipedia asserts that the name was inspired by the Bailey Hotel in London, others hold it was just an easy and identifiable Irish name used purely for marketing. In any case, it was an instant and enormous hit and remains so today inspiring other competitors as well as new flavors. The Bailey’s website says their recipe contains fresh dairy cream, a triple pot distilled whiskey blend, a proprietary blend of natural cocoa extracts and a blend of cane and beet sugars. Bailey’s states that it does not contain eggs. No other ingredients are listed but Wikipedia says in it’s listing that other ingredients “…include herbs and sugar.” That is the wild card that seems to be the point where many decide to throw in cinnamon, almond and coffee. The coffee seems to also be related to more hearsay that Gilbey’s came up with Bailey’s Irish Cream in an attempt to use up surplus whiskey by making a bottled Irish Coffee. (Homedistillation). Coffee and chocolate seem to be goes at this point. The Carolan’s Irish Cream website says its base uses fresh cream, honey, water, stabilizers and natural colors that are combined in stainless steel tanks and heated at high temperatures. They don’t mention coffee or chocolate/cocoa or vanilla as flavoring agents, just honey. Their spirit base is whiskey and unspecified ‘spirit’ that I can only assume is neutral grain spirit. They describe the taste of Carolan’s as “Vanilla ﬂavour with a smooth texture. Creamy taste, accented with the burnished gold of aged spirits and wildﬂowers honey.” A big description that doesn’t really say much. Other than the cream, I am not sure what is in this and am not interested in using honey in this recipe. Zero from them. One key necessity to making a homemade cream or cream liqueur, that is often overlooked, is a binding agent or emulsifier or emulsifying process to keep the cream liqueur from separating in storage. Egg yolks are commonly used in the home as emulsifiers in things like mayonnaise, custards, pastry creams and egg nogs. Artificial and natural stabilizers (slightly different from emulsifiers) like pectin, guar gum, agar, gelatin etc. are often used either at home or by manufacturers to help in this process. Other methods not readily available in the home are the use of high pressure heating or some other unspecified proprietary method of homogenization, are the most common ways to bind ingredients together. The manufacturing of cream liqueurs generally employs the industrial method of high pressure and heat. Since the high pressure heat method is not readily duplicated at home, I decided to use the traditional egg yolk based, or pastry cream, method of emulsification that I also use for making a Mexican style rum egg nog called Rompope and a Puerto Rican coconut cream liqueur called Coquito. Essentially this is making a flavored pastry cream and then halting the process (so it doesn’t become too thick to drink) straining and cooling the cream and finally adding a base spirit. The Irish Coffee story seemed plausible so I decided to incorporate coffee into the recipe. Chocolate was a given. I also wanted to add some vanilla. To me, vanilla is essential to the base of any cream. All these had to be blended subtly so as not to overwhelm any other flavor. 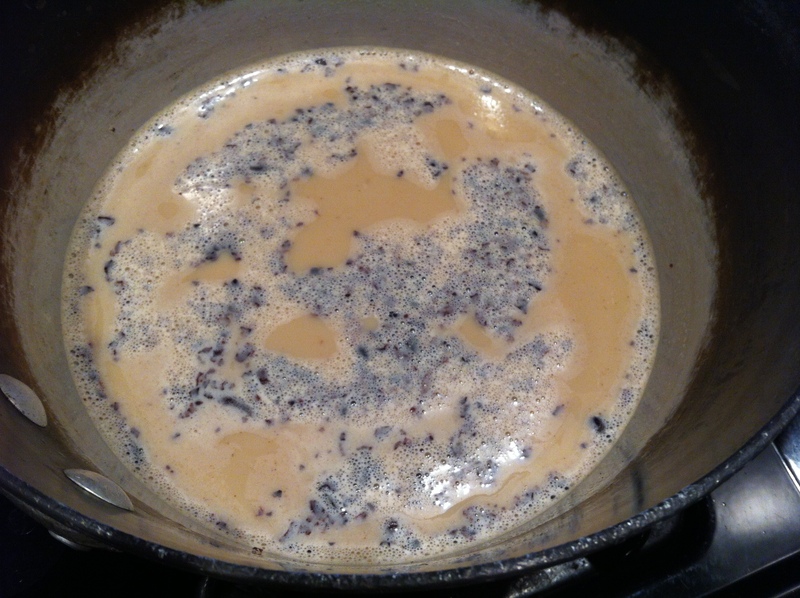 Slowly heat the milk, sugar, coffee, vanilla, and cocoa nibs. Bring to a very low near-simmer for approximately 10 minutes to bring out the nibs and coffee. Stir frequently. 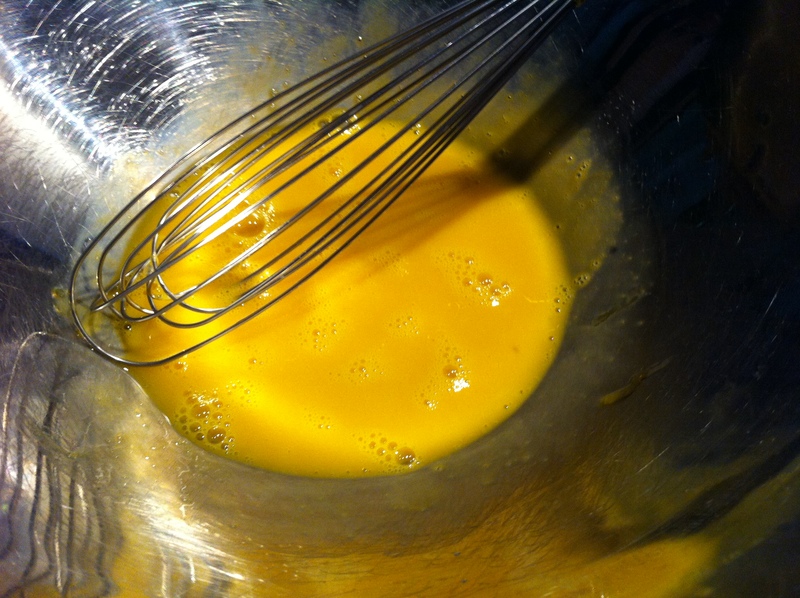 In a non-reactive mixing bowl add the egg yolks and whisk together. 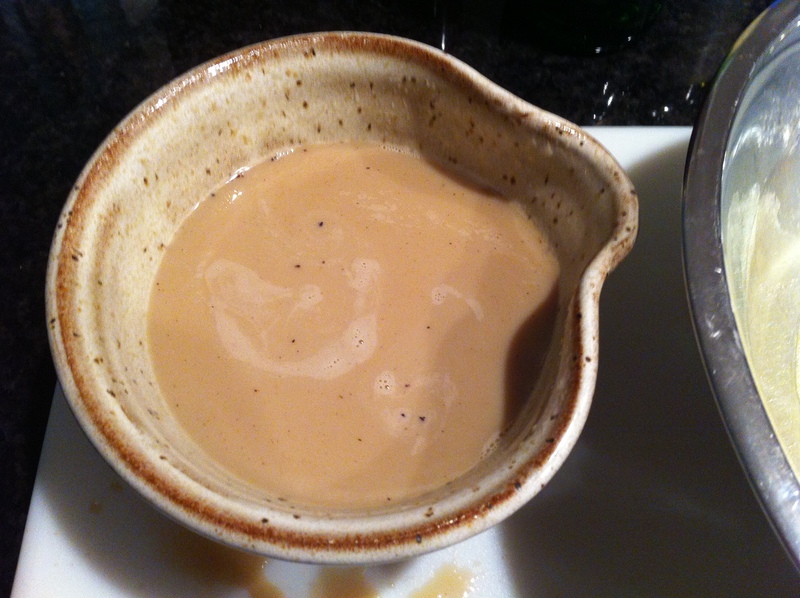 When the milk mixture is ready, remove from heat and strain into an appropriately sized mixing bowl. This will be used immediately in the egg yolks. 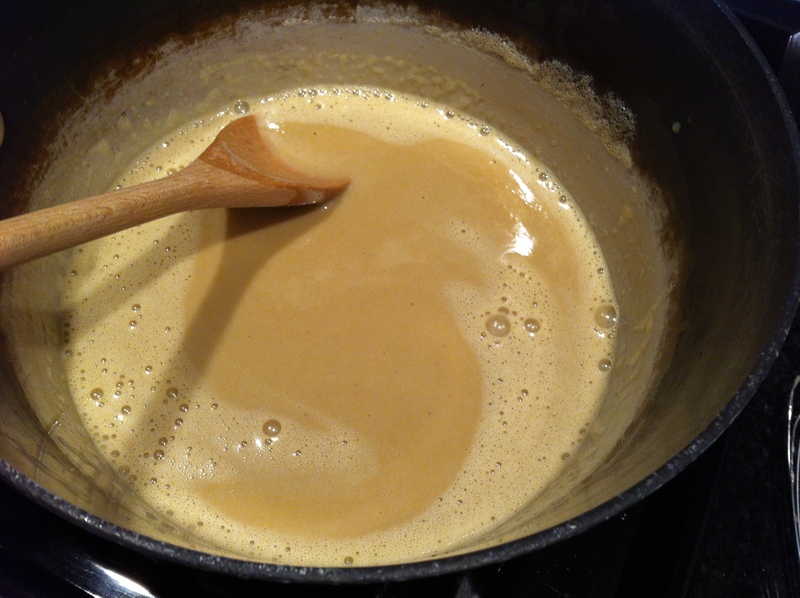 Now slowly pour and whisk this hot milk mixture into the egg yolks a little bit at a time. It’s good to have an assistant at this stage. Doing this slowly and in parts will ensure that the eggs do not curdle from the heat. 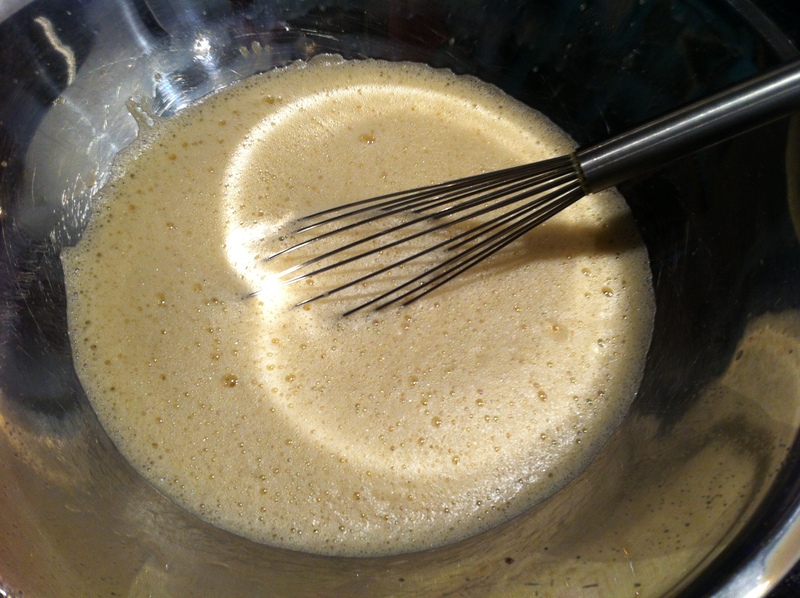 Keep doing this…always whisking…until all the milk is incorporated. Now return the milk and egg mixture to a clean saucepan on low heat and whisk/stir continuously until it begins to thicken. 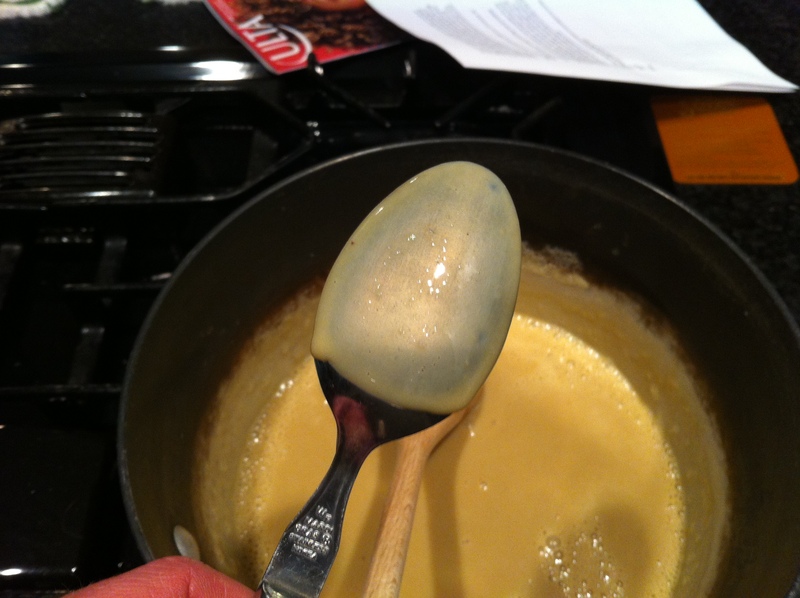 Continue until it is thick enough to coat the back of a spoon. Fine strain this again and store in an appropriately sized container that can be covered and cooled off in a refrigerator. The fine straining at this point will remove any bits of egg or milk that may have congealed. When the cream is cool, it should be thick like an Alfredo sauce. Add whiskey and stir or shake. Taste and adjust as you see fit. It is now ready for sharing, drinking or storage in the fridge. Shelf life is several months, but if it tastes as good as it should, it won’t last that long. Feel free to add more or less sugar depending on how sweet you want your Irish Cream. 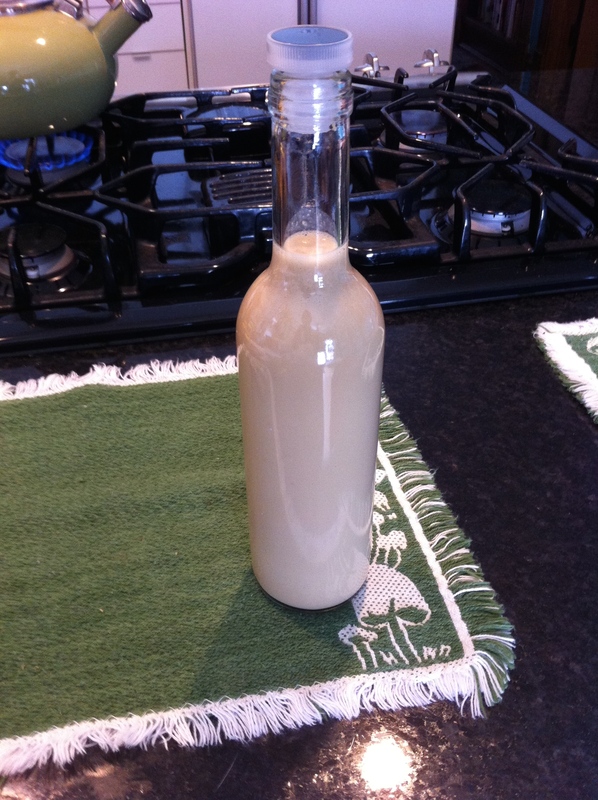 This can be non-alcoholic but it should then be used within a week or turn it into ice cream..
Once you know this base method of making a cream liqueur, you can be branch off and try many other flavors; coconut, hazelnut, cinnamon, almond and so on. Also the choice of base spirit can be almost endless. 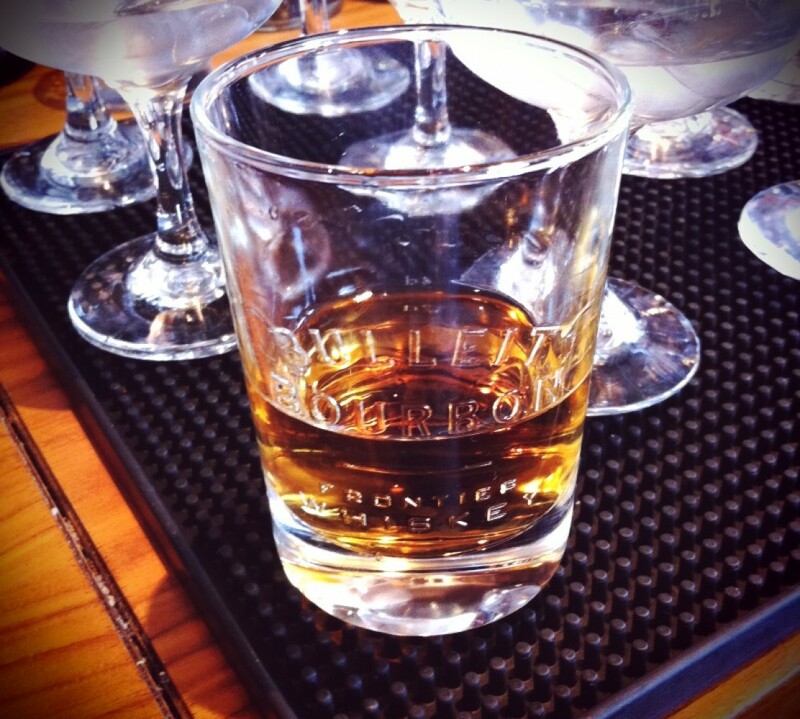 Rum, Tequila Añejo, Bourbon, sweet chocolaty Amaros, Cognacs and brandies, etc.. If you have any questions, please reach out to me, I would be glad to help you through this recipe or answer any questions about drinks and drink making .